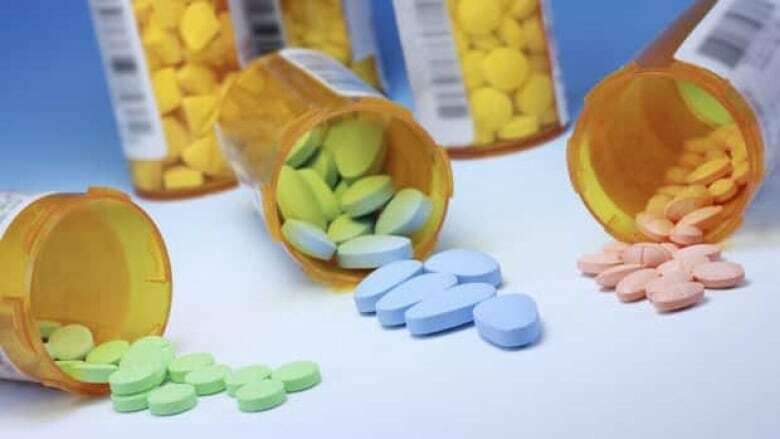 Researchers, academics and clinicians have been warning about the dangers of benzodiazepines – pills prescribed for anxiety or as sleeping aids that include such names as Xanax, Valium, clonazepam and Ativan – for decades. When Shirley was handed a three-month prescription for Ativan, her doctor insisted the popular sedative was just an "innocent little thing" to help her sleep. But after her doctor yanked her off the drug cold turkey, rather than slowly tapering off the dosage as experts typically recommend, Shirley plunged into a deep withdrawal. Over the next year and a half, the 40-year-old Hamilton public servant, was cycled through more than a dozen benzodiazepines and antidepressants, locked up in a psych ward and diagnosed with a slew of mental disorders. Unable to work or sleep and gripped by a relentless, gnawing fear, Shirley contemplated the most painless way to end her life. "I had a very decent job, a good family and wonderful kids, and suddenly I just find I want to kill myself," Shirley says, who doesn't want her real name used. "I didn't know how to go on." Researchers, academics and clinicians have been warning about the dangers of benzodiazepines — pills prescribed for anxiety or as sleeping aids that include such names as Xanax, Valium, clonazepam and Ativan — for decades. But despite the risks, "benzos" continue to be widely used across Canada — about four million prescriptions are filled annually in Ontario alone -- a trend that experts say raises concerns about the way drugs are monitored once they're on the market and the lack of awareness about their potentially fatal side-effects. Data compiled from Health Canada's public database of adverse drug reactions suggest that four of the most commonly prescribed benzodiazepines — lorazepam, alprazolam, clonazepam and diazepam — have been implicated in nearly 200 deaths in the past decade. This is likely a conservative number, as experts estimate that only three to five per cent of adverse reactions are reported. "People are on these things all over the country," says Dr. James Silvius, a University of Calgary professor who specializes in care of the elderly. "We need to have conversations with prescribers about these drugs and how they're used. But the biggest conversation we need to have is actually with the public, to get perceptions changed that these are safe drugs to take." Benzodiazepines are tranquilizers that work by suppressing the central nervous system. They were first marketed in the 1960s as a safer alternative to barbiturates, quickly becoming a popular treatment for everything from insomnia to alcohol withdrawal to the stresses of everyday life. But by the 1980s, warnings about dependence and serious side-effects began to surface. Adverse reaction reports filed to Health Canada document wide-ranging risks, including memory loss, over-sedation and suicidal thoughts. However, Health Canada cautions that the reports — filed on a voluntary basis by doctors, pharmacists or members of the public — don't prove that the drug caused the side-effect reported; it's just the suspicion of the person filing the report. Even so, benzodiazepines can cause death if taken in large quantities or if mixed with other drugs or alcohol. Researchers and doctors say insufficient monitoring of drugs once they have been approved is allowing such problems to go unchecked. A recent Senate report called on Health Canada to shift spending away from pre-marketing trials towards post-marketing surveillance. While some provincial governments, including Ontario and B.C., have begun tracking benzo use, others like Alberta don't include the drug in monitoring efforts. The variety of approaches from one province to the next means there are no national statistics on use of the medications. However, government-funded insurance programs, which cover the cost of some prescription drugs for eligible patients, give us a glimpse into their usage. From 2007 to 2012, the number of First Nations people getting benzos covered by a Health Canada drug plan jumped by about 15 per cent — to more than 70,000 from about 60,800 — an increase slightly higher than overall program growth. But Health Canada says the average daily dose prescribed to patients during that period rose by about 13.3 per cent. "This suggests prescribers are tending to prescribe higher dosages of this medication when it is prescribed," Health Canada spokesman William Wells said in an email. Another indicator of how widely benzodiazepines are used come from figures on seniors. Roughly 19 per cent of those aged 65 to 74 on drug benefit programs in six provinces are on benzos, according to a 2010 report by the Canadian Institute of Health Information. For those over 85, the figure jumps to almost 25 per cent. Benzodiazepines can be helpful for short-term or occasional use, such as helping to quell a panic attack. Pfizer Canada, the maker of Ativan and Xanax, says the drugs have benefited millions of people who suffer from anxiety. The danger, says Rozemin Kizuk, a family physician in Lethbridge, Alta., is that patients are often put on the drug for a short period — and then never get off it. In addition to causing physical dependence, benzos provide a calming effect that can become a crutch. Rachel McCrea of Big River, Alta., was started on benzos and antidepressants as a teenager after being diagnosed with bipolar disorder. Instead of learning coping skills, McCrea learned to pop pills. Today, the 24-year-old suspects the decade she spent taking the medications was unnecessary, and the doctor's diagnosis — arrived at too swiftly, she says, based on scores from a questionnaire — was incorrect. But weaning herself off the pills was an uphill journey in which she was haunted by cravings. "I felt like I was crawling out of my skin," says McCrea. "I was consumed by (benzos). I wanted them."